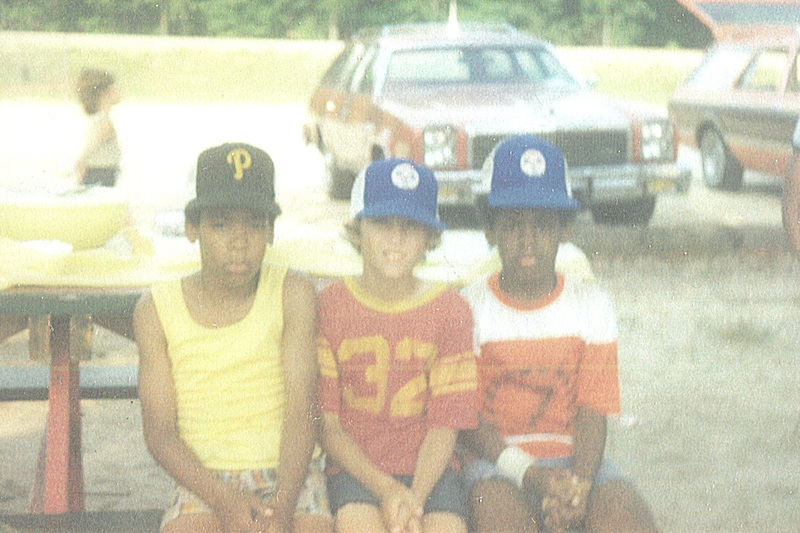 This is my baseball team from the 1978 Fort Meade (MD) DYA Little League season. 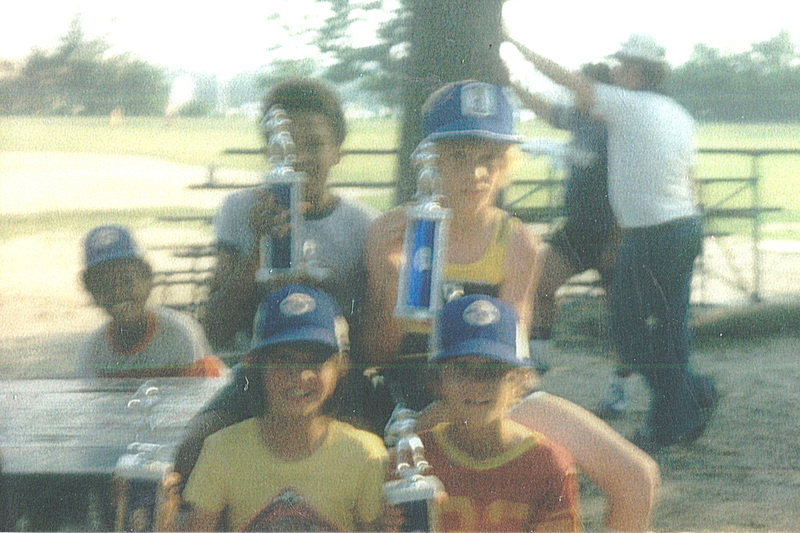 Our official name was the Twins, but our coach (young guy in #3 blue jersey) always said we were the "Super" Twins. I only remember the names of a few of these kids. I am in the bottom row second from the right side. To my immediate left is Tracy (third from end) and next to him is my good friend Mark Johnson (middle of bottom row). In the second row third from the left side is Scott Young. He was initially our neighbor in Thompson Court. I vividly remember watching the Steelers win Super Bowl X (beating the Cowboys!) as we ran back and forth between our houses. He moved to Germany for about a year and then moved back to Second Army Drive and was on the Twins with me. 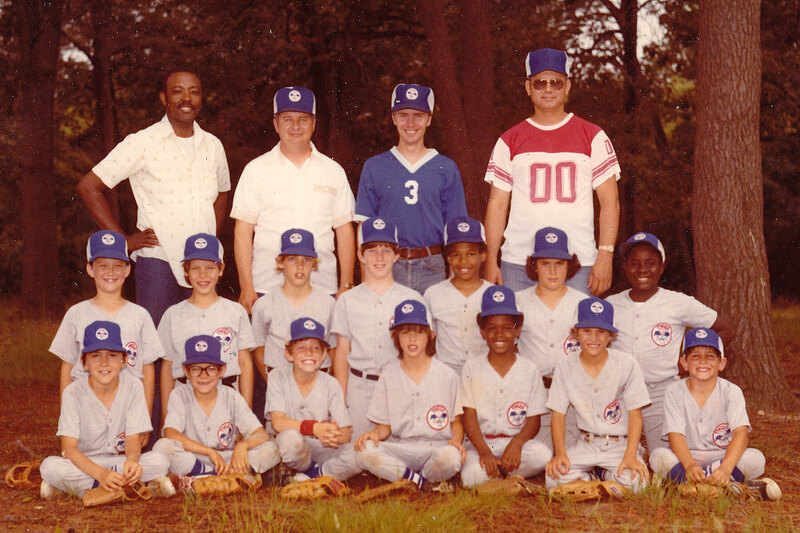 Second from left on the top row is one of our asst coaches and Mark Johnson's dad (white shirt and blue hat). 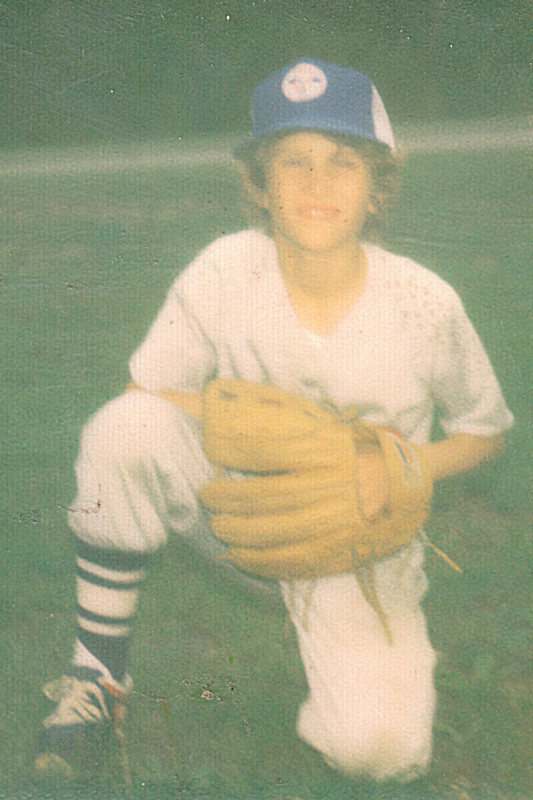 I remember him telling me about coaching his son Mark when they lived in frigid Alaska. This team was pretty good and we finished in third place that year. 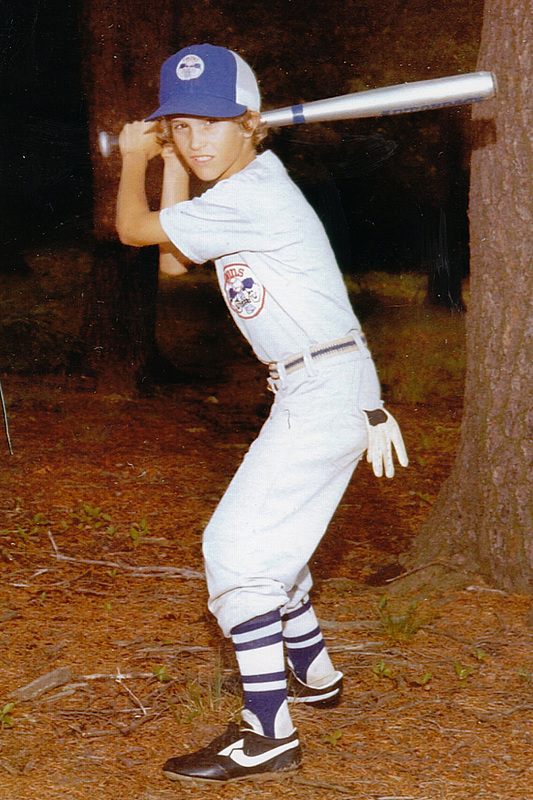 Once again I made the all-star team (on my defensive skills) but we moved to Guam just as the season ended and I was unable to participate. The Super Twins! Team photo taken near baseball fields on Fort Meade. That's me, second from right on bottom row. To my immediate left is Tracy and to his left is Mark Johnson. 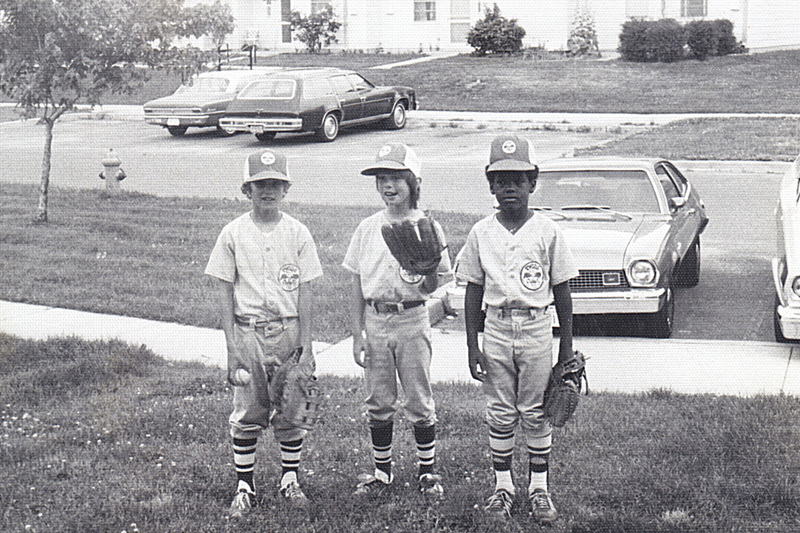 From left its me, Mark, and Tracy in front of Mark's house on 2nd Army Drive. Tracy lived in one of the houses in the background. That's me on right with Mark and Tracy. Me posing in our yard at Thompson Court. My individual picture on team photo day. 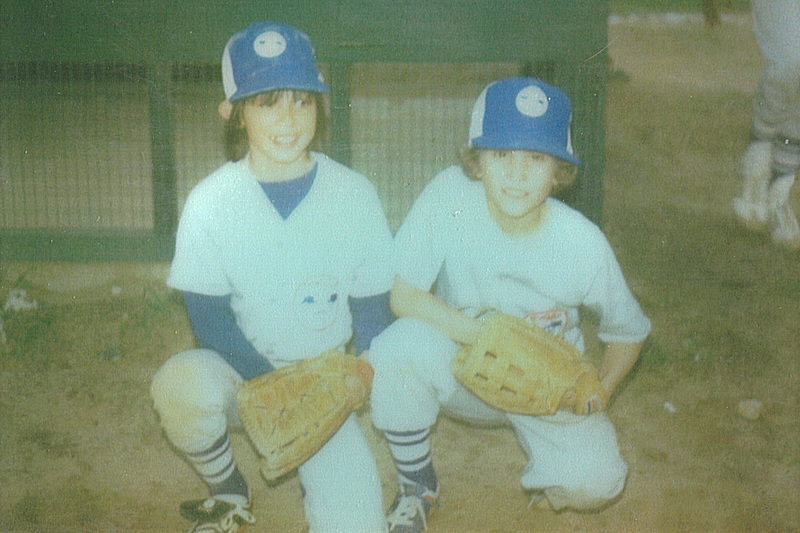 Me again with Mark at baseball fields. 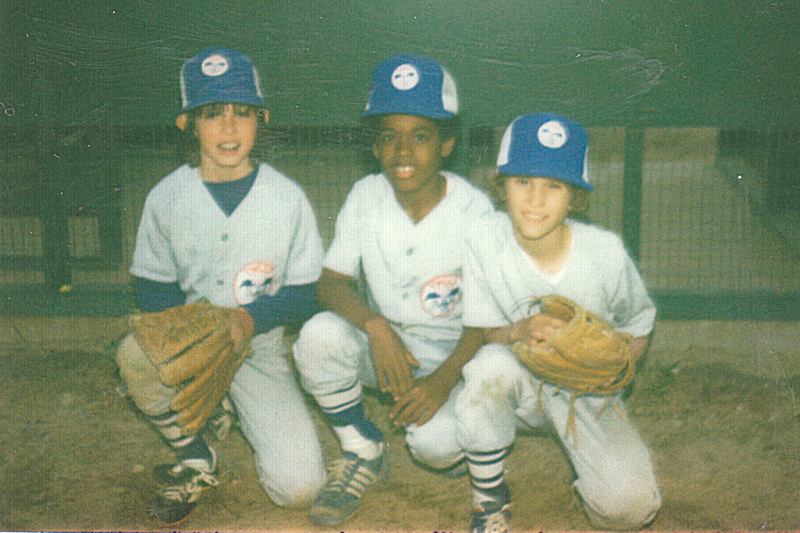 Me in the middle with Tracy on my right. 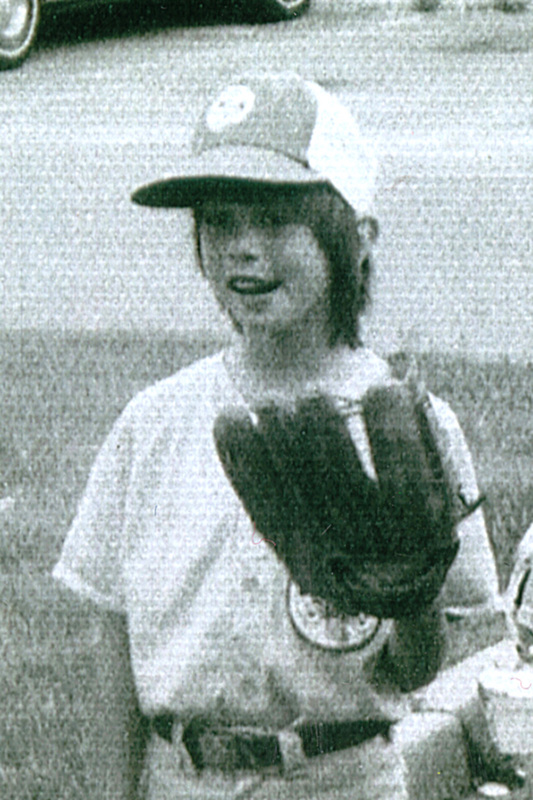 The other boy's name is unknown. 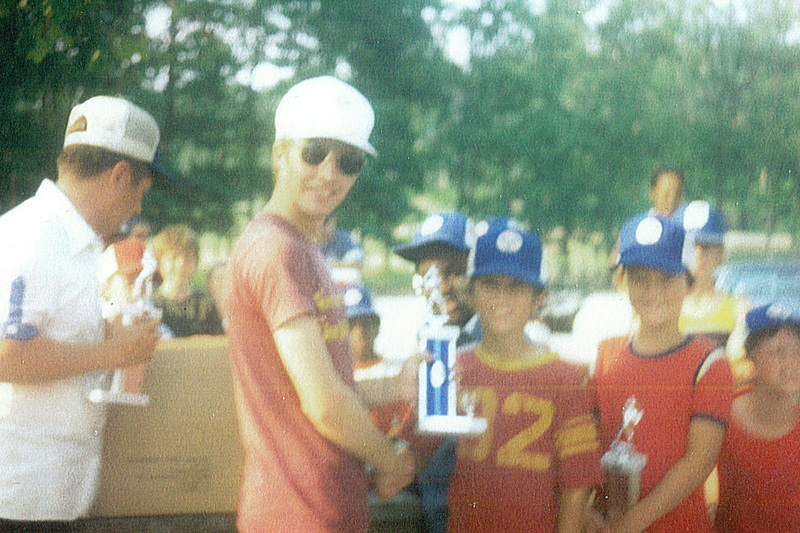 Receiving my trophy during post-season team picnic. Posing with our trophies. My dad (white shirt) is leaning on the tree in background.